Olivia Chow takes aim at John Tory's housing plan, claiming her rival for the top job in Toronto "has not done his homework" on the inner workings of the Toronto Community Housing Corporation. Olivia Chow took aim at John Tory's housing plan on Saturday, claiming her rival for the top job in Toronto "has not done his homework" on the inner workings of the Toronto Community Housing Corporation. Tory on Friday revealed a housing plan that included a vow to put $864 million into "overdue" repairs at TCHC buildings. Tory also said he would press for investments from the the provincial and federal governments, and form a task force to review TCHC. Chow, addressing reporters Saturday morning outside a TCHC building, said the money Tory promised is already being spent. "He is providing false hope," Chow said, pointing to a city report that says $50 million was spent on repairs last year followed by another $128 million in 2014. The spending is part of a pre-existing 10-year plan to put hundreds of millions from various sources into TCHC repairs, while seeking matching funds from the province and Ottawa. "He's not adding one single dollar to fixing TCHC," Chow said. 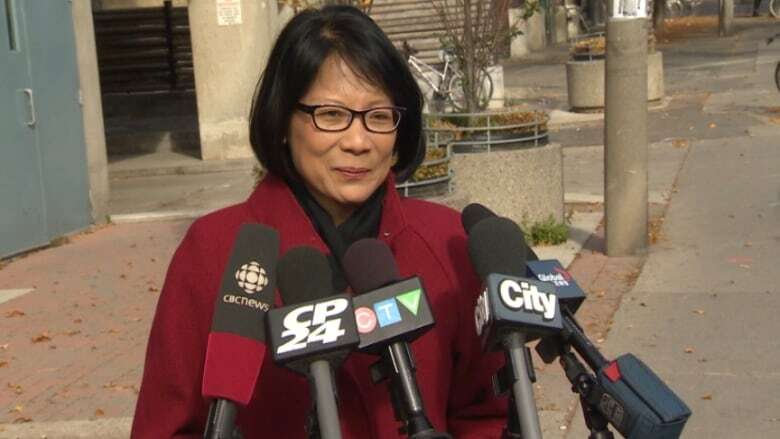 Touting her own housing plan, Chow said she would, as mayor, spur construction of more affordable housing while pressuring both Ontario and Ottawa to contribute to TCHC repairs. She repeated her pledge to build 15,000 units of affordable housing. Tory did not campaign on Saturday, and instead spent time with his family for Thanksgiving. But he was taking heat, mostly online, over comments he made Friday night when, asked by a reporter if "white privilege" exists, Tory suggested it does not. "I think there are people who are left behind and I think what they need a hand up from all different skin colours and backgrounds," Tory said. Doug Ford, meanwhile, campaigned in Scarborough on Saturday and said run-down TCHC buildings should be sold to help pay for repairs to others. "I've always said I think the [decrepit] homes, we need to sell and use that money to fix the repairs that are in such desperate need," he told CBC News. Ford also said he would not rule out rehiring former TCHC head Gene Jones, who resigned amid a storm of controversy in April. "I really wouldn't rule it out ... but I'd like to review the work they've done," he said. Toronto goes to the polls on Oct. 27.